Each year, the Greater East Dallas Chamber of Commerce recognizes teachers who have made significant contributions in the classroom and in the community. They are selected based on professional practice, community engagement, leadership in professional development and attention to diversity. Two additional Lakehill teachers were selected as finalists in the competition. Jennifer Herta was recognized in the High School category, while Laura Gigliotti was a finalist in the Elementary School category. The Teacher of the Year Awards Program solicits nominations from all public and private schools in East Dallas as well as from business and community leaders. 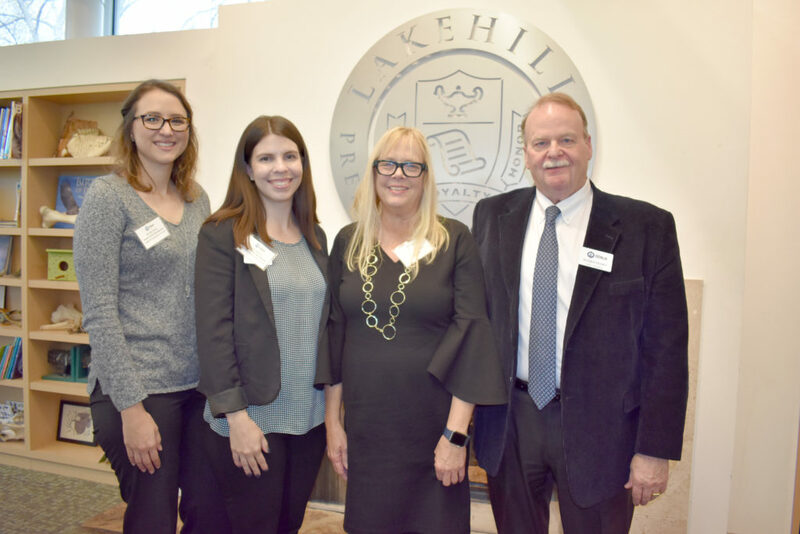 The Chamber presented the awards at Lakehill’s Alice and Erle Nye Family Environmental Science Center.